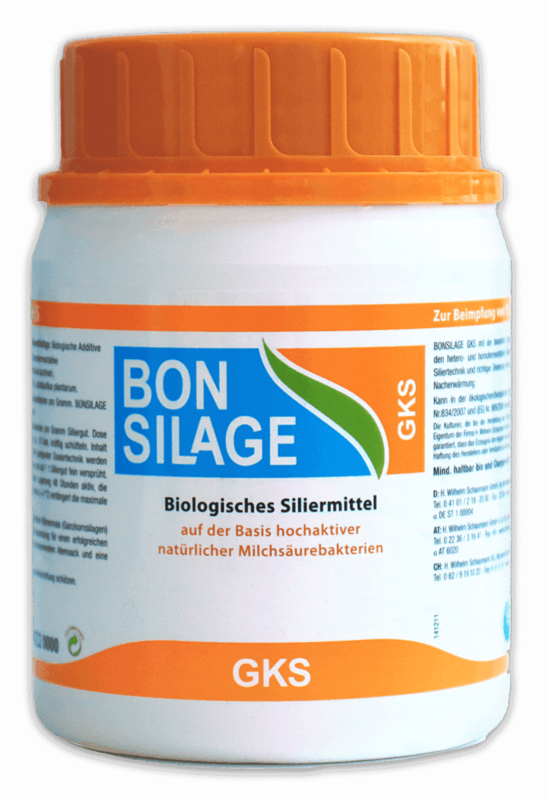 This specialized silage additive combines homofermentative and heterofermentative lactic acid bacteria for the ensiling and storage of whole grain maize in airtight tower silos. BONSILAGE GKS intensifies lactic acid fermentation compared with untreated silage and through production of acetic acid inhibits yeast and mould development, increases aerobic stability, reduces dry matter losses and improves palatability. For full efficacy a period of at least 3 months must be observed. 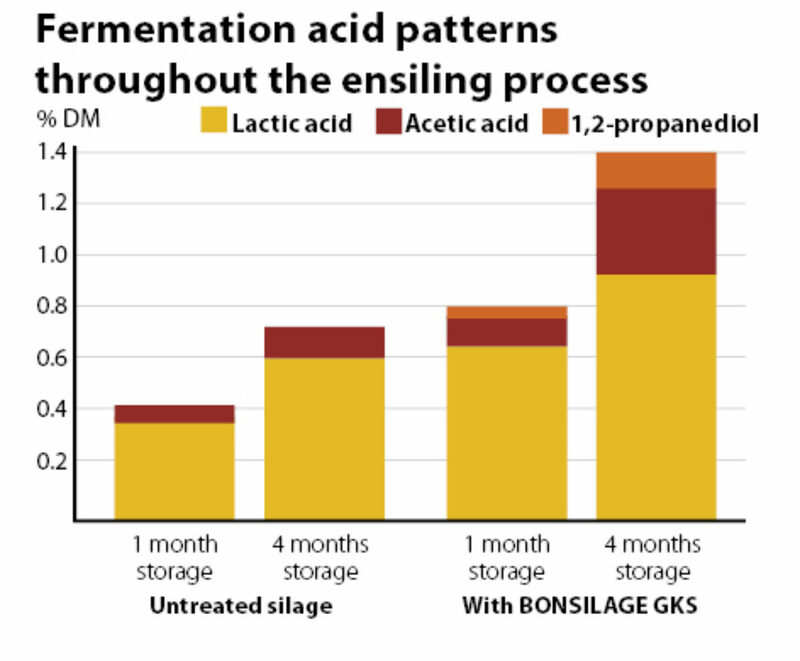 Fermentation profile during ensiling of BONSILAGE GKS treated and untreated silages.